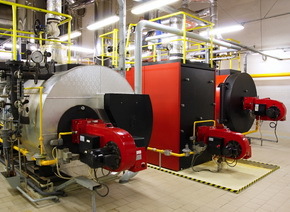 The Energy Company Inc. is a mechanical contractor specializing in the industrial boiler industry. Since its formation in 1973, we have taken pride in meeting the diverse steam and heating requirements of manufacturers, hospitals, schools, office and multiple dwelling buildings and power generation facilities throughout the Delaware Valley. The company owners possess over 95 years of combined experience in the power service industry. We specialize in refractory and code welding repairs, new boiler installations and the upgrade of older boilers and control systems. Our welders, refractory masons and burner technicians all have extensive training, field experience and qualifications. Unsurpassed technical and mechanical capabilities are due largely to our personnel who have firsthand knowledge from work on jobs of all types and sizes. The Energy Company is committed to our customer's needs. The quality of our work and concern for our customers is second to none. These high standards, combined with the importance of the services we provide, make us an integral part of our community. We provide our customers with dependable quality and expert service twenty-four hours a day at a competitive price that reflects our cost and a fair profit. Our customers choose us because they believe in our ability and trust our advice and opinions. We wish to satisfy every customer and to support the belief that the best boiler repair company is The Energy Company, Inc.